If you’re in Tokyo between late March and late October, you should definitely try to catch a baseball game. Even if you’re not a fan of baseball back home, you’ll surely find the experience of a Japanese baseball game to be fascinating. And, it’s surprisingly easy to get tickets. Here are all the details. 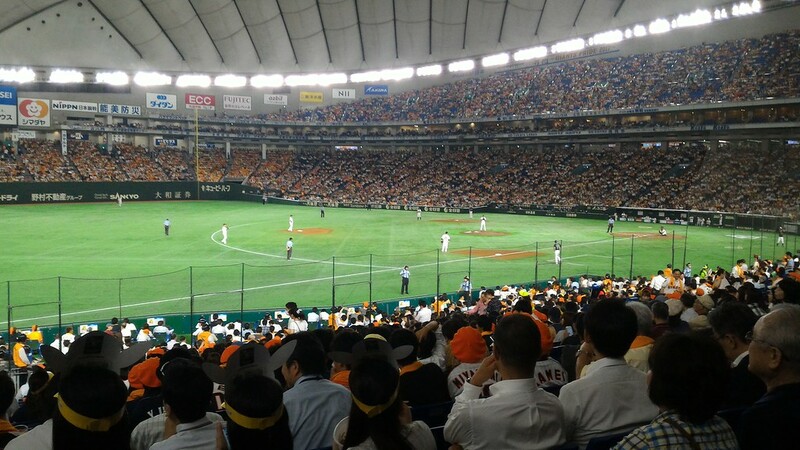 Two professional baseball teams play in Tokyo: the Yomiuri Giants and the Tokyo Yakult Swallows. 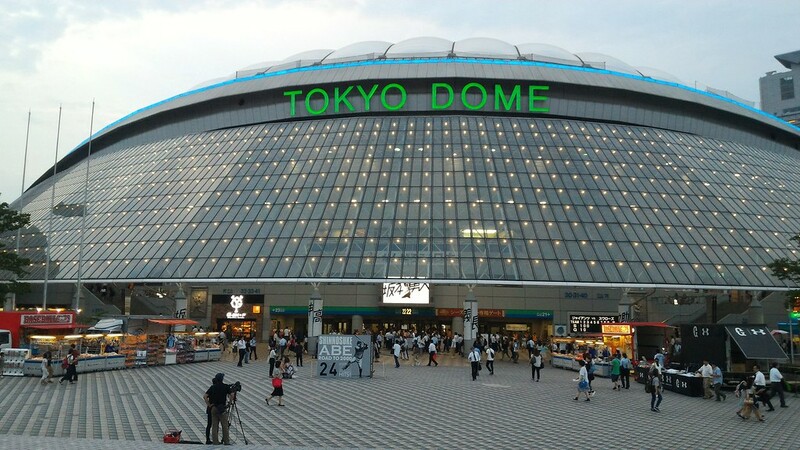 The Yomiuri Giants play at the Tokyo Dome in central Tokyo, which is near Suidobashi Station. The Yakult Swallows play at Meiji-jingu Stadium, which is near Harajuku and Shibuya. 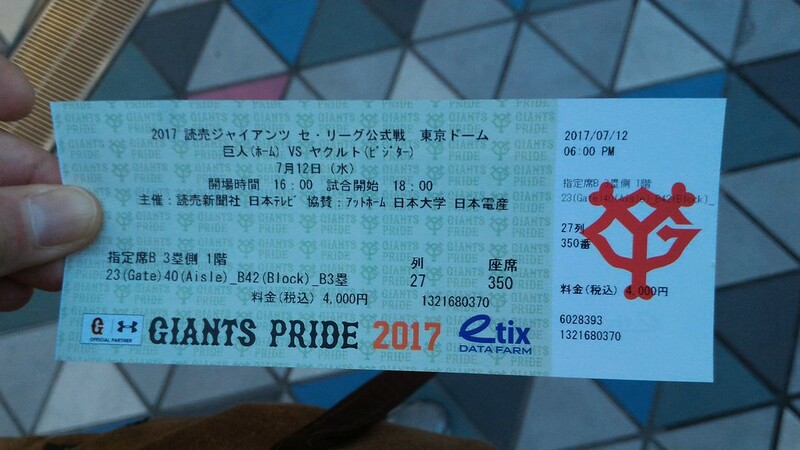 In this article, I’ll focus on buying tickets for the Yomiuri Giants, who are something like the Japanese version of the New York Yankees – very famous, very successful, and you either love `em or you hate `em. Here’s the Giants’ English-language schedule. 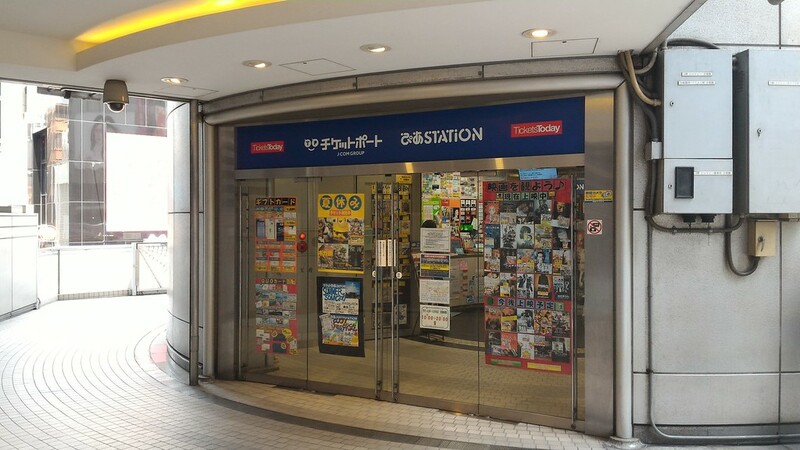 3) you can buy tickets at a Lawson convenience store. Note that 2 and 3 will also apply to Yakult Swallows tickets. I’ll cover each of these in detail here. I’ll also cover how to get the station and some unique quirks of Japanese pro baseball games. The Yomiuri Giants English website allows you to buy tickets online in English (the Yakult Swallows English site also has limited ticket buying options). The Giants’ website is clear and easy to use. 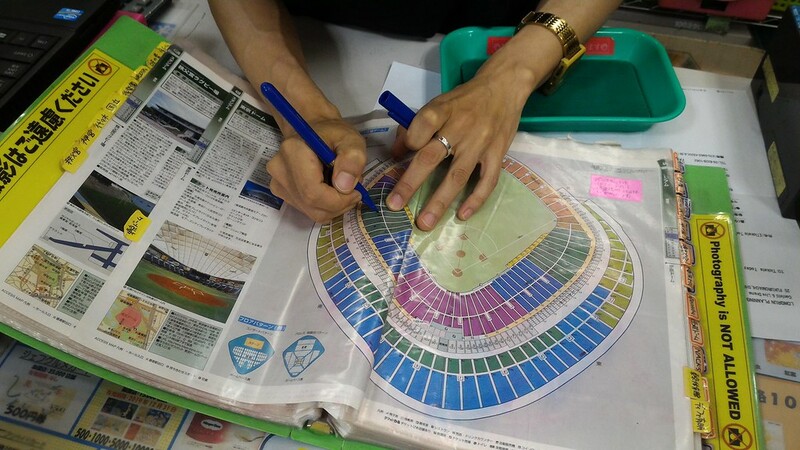 It gives you the option of printing your ticket at home or picking up your ticket at a kiosk at Tokyo Dome. My only concern with this method is that the Giants site does not work with all credit cards. When I tested it, the site would not accept my Canada-issued credit card. However, it worked with my Japan-issued card. I’ve read reports online of other foreigners using this site successfully, so I recommend giving it a go. Note that if you choose to pick up your tickets at the stadium, you’ll need to bring your order ID and password (the site will email these to you). A useful alternative is to buy the baseball tickets online through GoVoyagin where you can avoid any issues with credit cards. The tickets can be delivered to your hotel or picked up from the GoVoyagin office or collected from any 7-11 Convenience store. Next, you’ll be asked to input your order number and password. 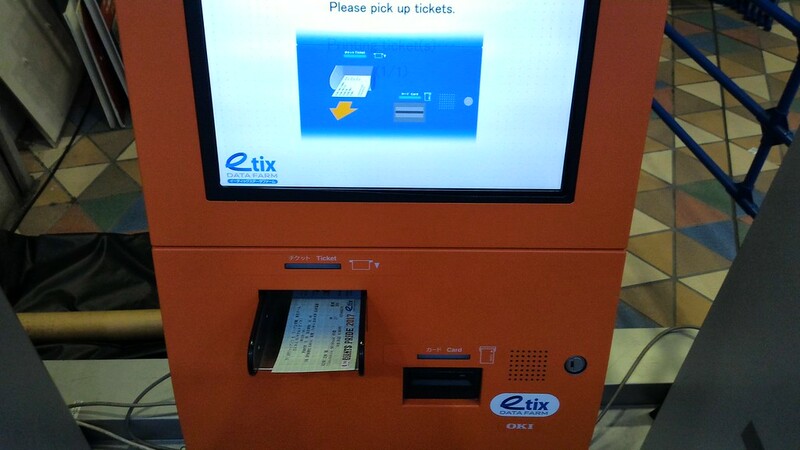 Finally, the machine will print your ticket. Here’s a close-up of the ticket. Note that it shows the gate, aisle and seat number (block) in English, which makes it very easy to find your seat. 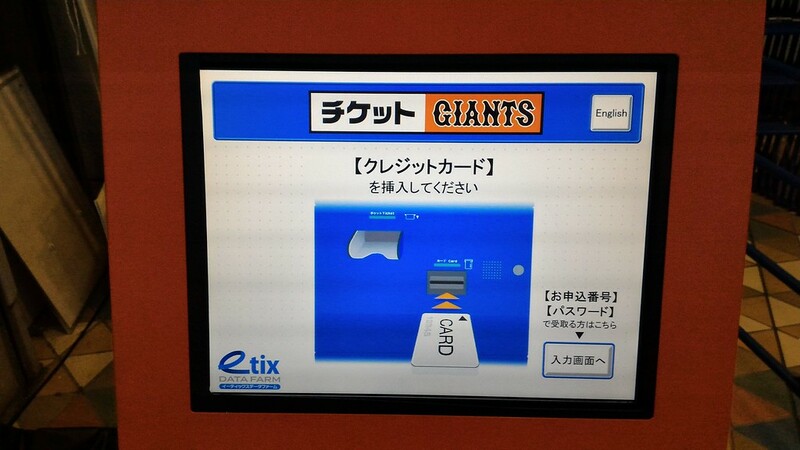 If you cannot buy your tickets from the Giants site online (for example, if your credit card won’t work), the next best option is to buy tickets from the Ticket Pia outlet in Shibuya. Here’s a step-by-step guide. 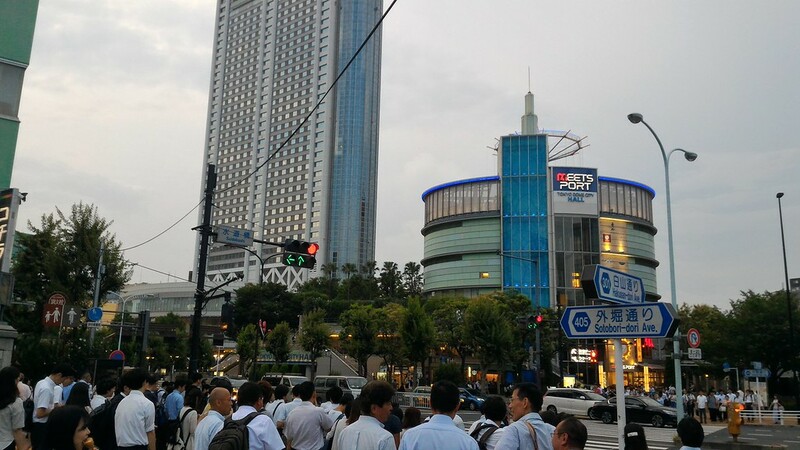 First, get yourself to Shibuya Station and take the Hachiko exit. 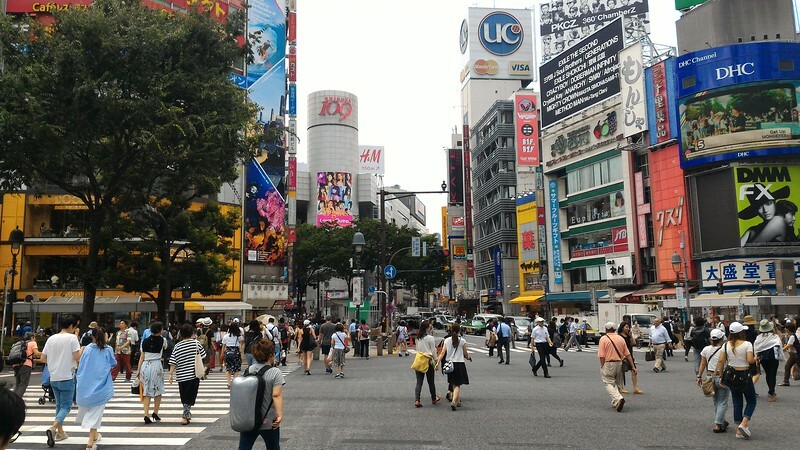 Walk to the edge of Shibuya Crossing (the main intersection outside the Hachiko exit). Turn to your left and you’ll see the 109 Building (a tall building with a round front). Walk to the 109 Building. Next, climb the steps to the left of the main entrance to the 109 Building. 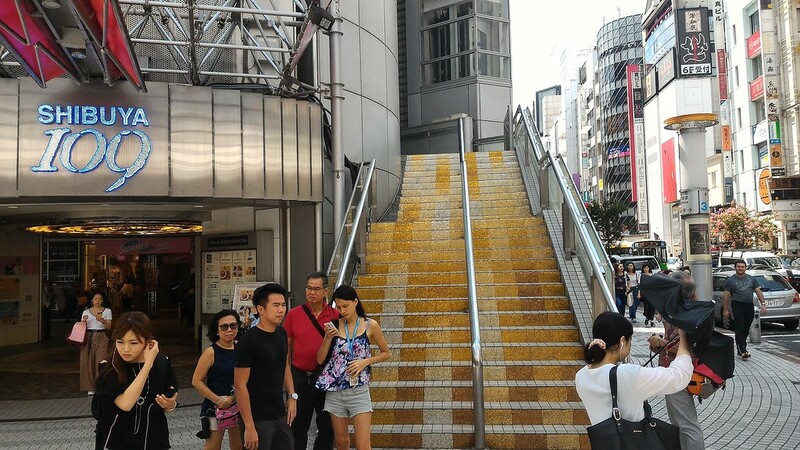 At the top of the steps, you’ll find the Ticket Pia store (the sign says “TicketsToday” and “Station” on it). The staff at Ticket Pia speak enough English to help you select a seat. They have a map of the stadium to help you choose. The cheapest ticket you can get is a standing ticket, which will cost Y1,000. Better tickets will cost around Y4,000. 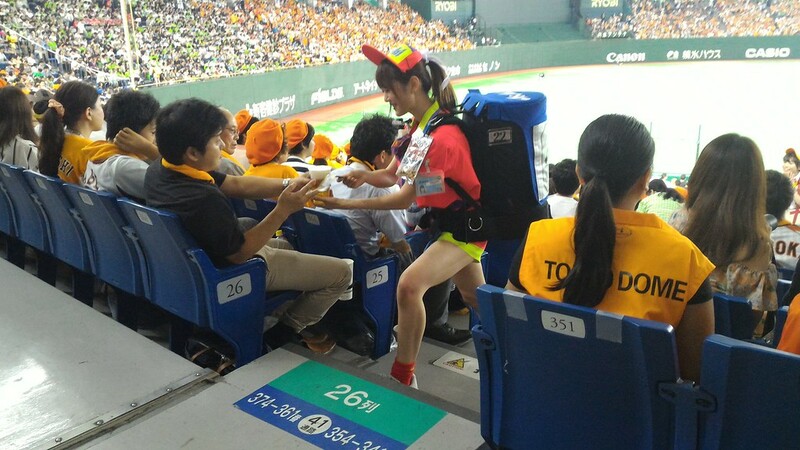 Note, they may also have tickets for Yakult Swallows games, as well as other games in Japan. 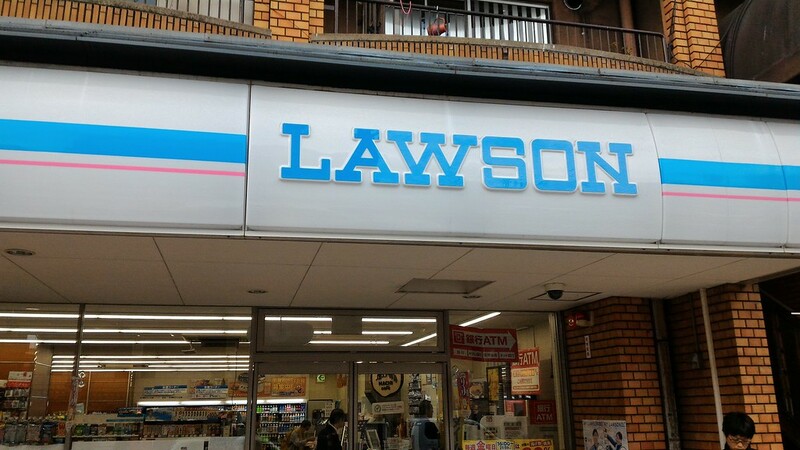 A final way to buy tickets is at a Lawson convenience store anywhere in Japan. 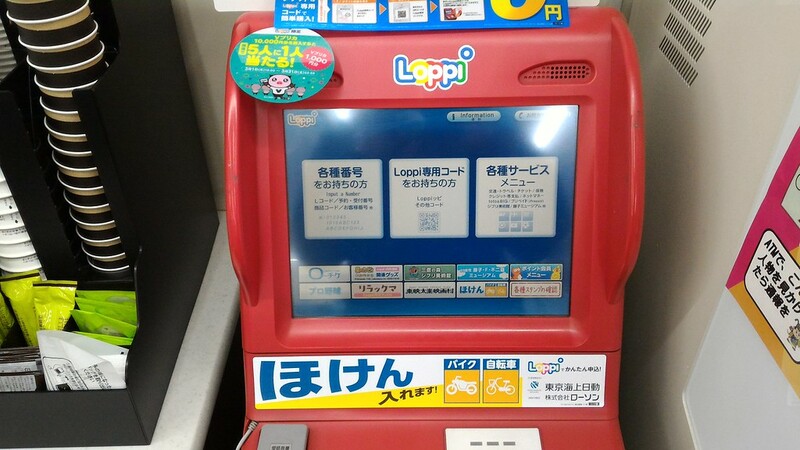 These convenience stores have Loppi ticket machines where you can buy tickets to all sorts of sporting events, concerts and attractions in Japan. The only problem is that the ticket machines are only in Japanese, so if you don’t read Japanese well, you won’t be able to use the machines. The way that foreigners get around this is by asking the clerks to help. But, please keep in mind that the clerks are usually very busy and don’t really have time to spend 15 minutes helping you buy a ticket. If you choose to use this method, I suggest going very early in the morning or very late at night, and please don’t bother the clerks if they look busy (Japanese people have a hard time saying no, so they’ll probably try to help even if they’re busy). 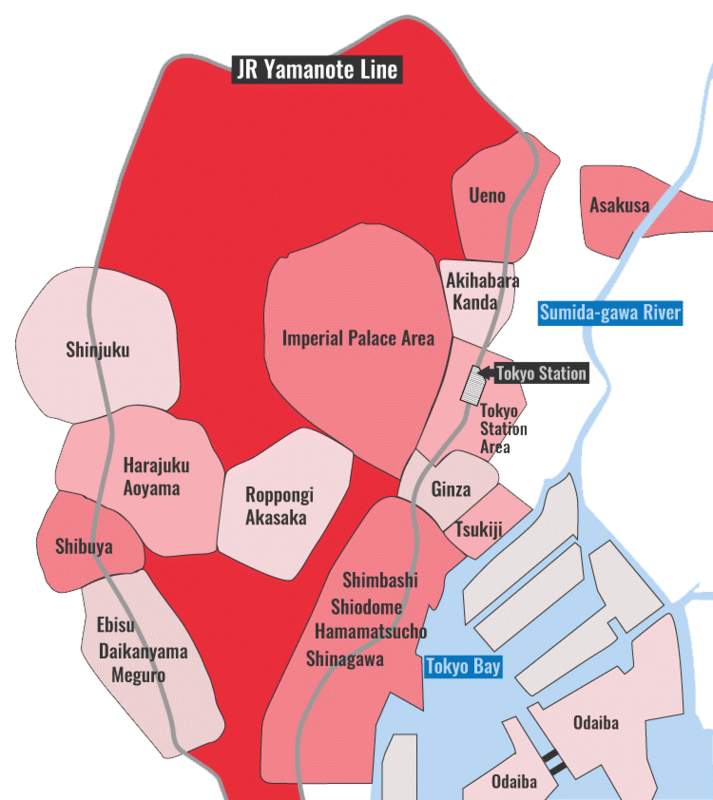 Tokyo Dome is very close to Suidobashi Station, which is on the JR Chuo Line and the Mita subway line. 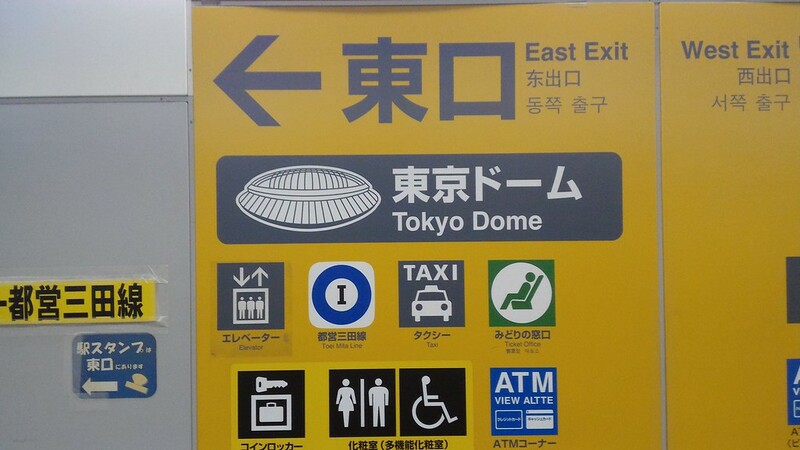 When you get off the train or subway, simply follow the signs for the Tokyo Dome (East Exit). It’s about a 10-minute walk to the stadium; on game days and nights, you can usually just follow the crowds. You’ll cross a bridge across the Kanda-gawa River and Sotobori-dori Street. 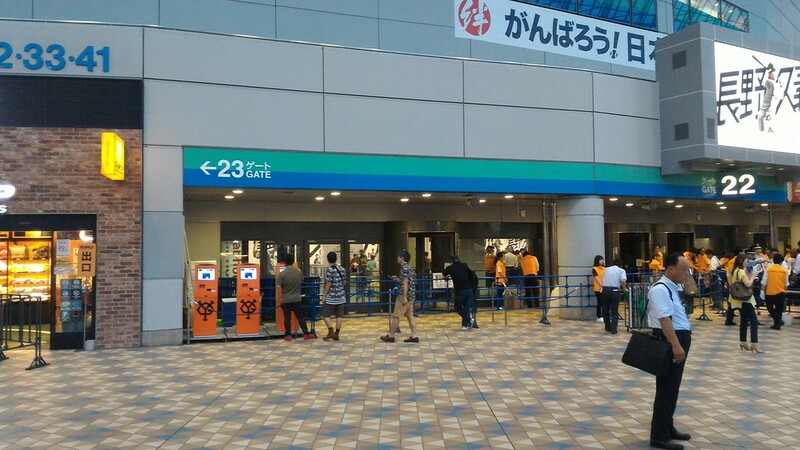 You will then make your way through Tokyo Dome City to the main entrance to the station. If you’re picking up tickets at the ticket kiosk, you will find it near Gate 22 (see details above on this). Your ticket will have the gate, aisle and seat number (block) in English on it, making it very easy to find your seat. If you have any trouble, there are lots of ushers around who can help you. Once you find the correct gate and aisle, it will be easy to find your seat. 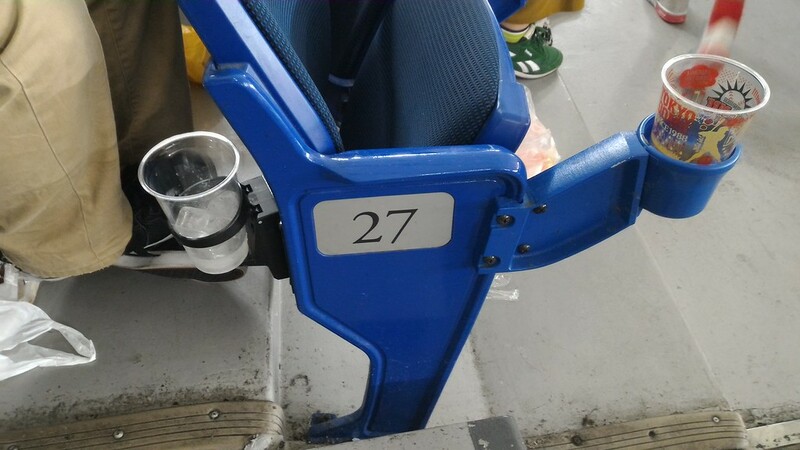 The seats have their numbers printed on the side or bottoms of them. Once at the stadium, not only can you enjoy some good baseball, you can savor the little differences between Japanese baseball and other versions. If you’re like most foreign punters, the first thing you will notice is the lovely beer girls who hoist mini kegs of beer up and down the steps to sell to fans. Surely, this is much better than the surly dudes who flog the stuff back home. Another thing you might notice is the different snacks for sale at the concessions. 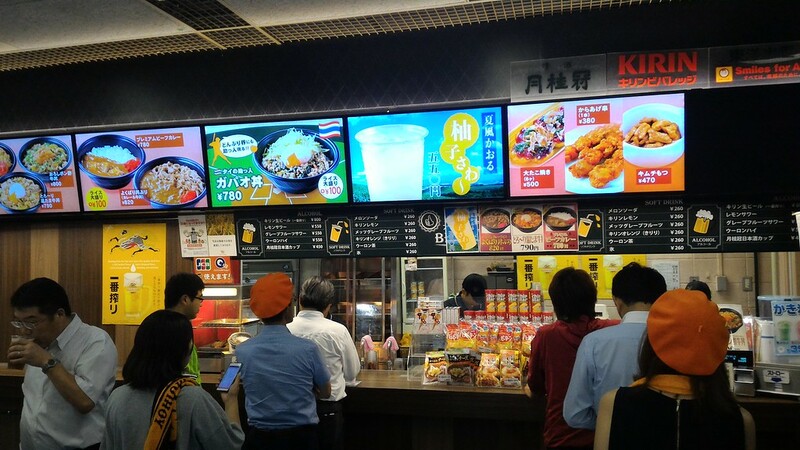 Sure, you can find hot dogs just like back home, but you can also find tako-yaki, rice bowls, curry, and (at least when we were there) Thai food.